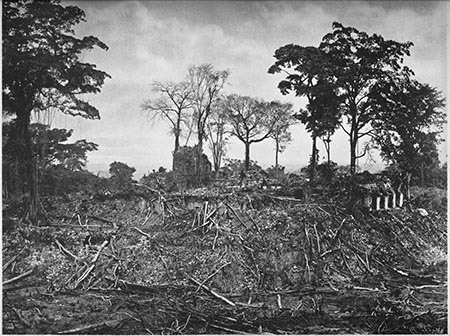 strewn across Mesoamerica. Local leaders also just reset days in their calendar to coincide with a leader’s agenda. In today’s video, an excerpt from our book for iPad, Dr. Susan Milbrath of the University of Florida, talks about the accuracy of the Maya calendar and their precision in tracking the skies. 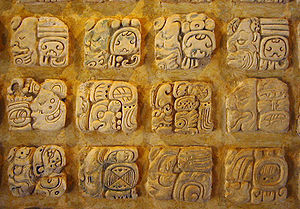 The Maya had no leap year. So over time, things got out of whack and their leaders made adjustments accordingly along the way. 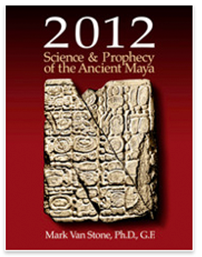 You can read more about the Maya in our book for iPad by going to MVS2012.com and downloading version 1.1 of the book. According to some predictions, the Dec. 21, 2012 end of times is slated for 11:11 a.m. UTC. Or about 6:11 a.m. on the East Coast of the United States. We talked earlier in the year with a man who swore on whatever data he’d assembled that death was due to come at noon on Dec. 21. Out of concern for upsetting him, we didn’t ask which time zone he meant. At one point we just assumed that as it struck noon around each time zone, people would just fall out. It’s been that kind of a year dealing with some of the nonsense that’s come about. 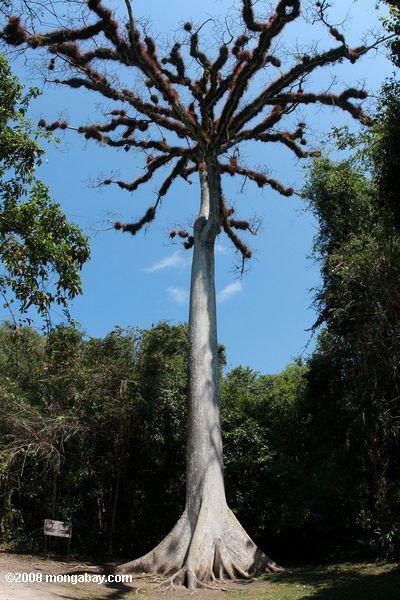 From our discussions and work with Dr. Mark Van Stone, who has published as a book for iPad–2012: Science and Prophecy of the Ancient Maya, there is nothing in Maya prophecy that establishes a time for our passing. And if you really think about it, if there was such an ending predicted by the Maya, there’s not, it would most likely be the Central time zone, which closely mirrors those in Mesoamerica. But we digress. 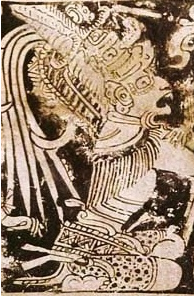 The announced discoveries from Xultun in Guatemala prove something that’s not new–archaeologists have been saying there is no evidence to predict a doomsday on Dec. 21, 2012 from Maya ruins. 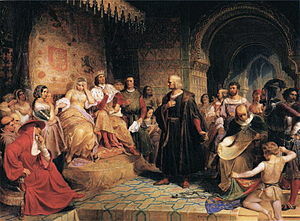 But the beauty of the discovery, their age and their very findings, are amazing and beautiful to review, to think about, and now, for scholars, to spend several years analyzing. Our colleague, Dr. Mark Van Stone, has often repeated to us, even in video accounts on this site, that we still have only found a small, small percentage of the ruins in Mesoamerica and have yet to really unravel many of the mysteries that remain about them. The discovery of the Maya ruins in Xultun prove this point once again. Indeed, some of the articles we’ve ready help further emphasize this important point. 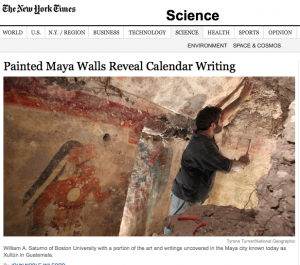 There is still so much we do not yet know about the Maya. We talked with Dr. Van Stone yesterday while he’s at the Archaeology Channel’s annual film festival in Eugene, Oregon this weekend. He was clearly excited about this new find and was still reviewing the details of the findings. 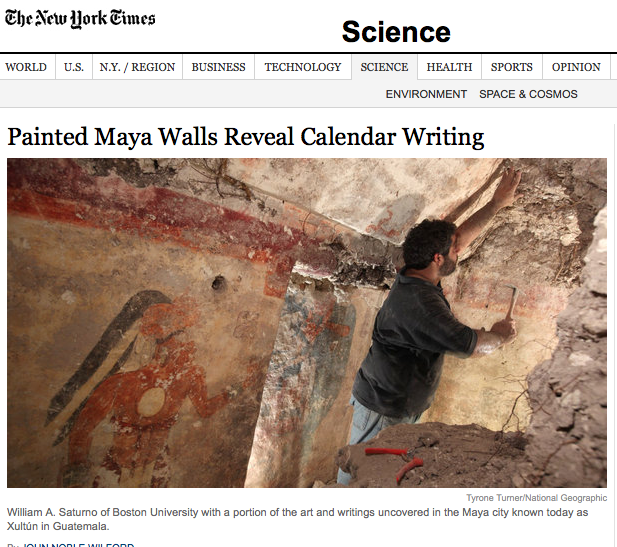 In interviews we recently conducted in Memphis at the Society for American Archaeology, we interviewed Dr. Anthony Aveni of Colgate, one of the four scholars highlighted in the Xultun find. 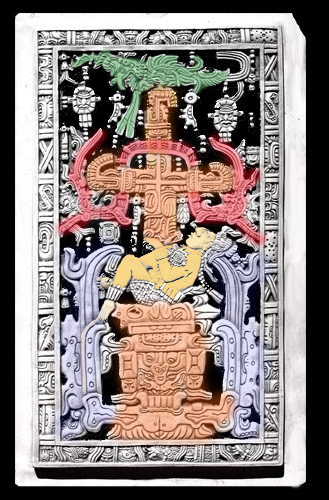 We now are in the process of churning that video out for inclusion in Dr. Van Stones soon-to-be-release Interactive Book for the iPad–2012: Science and Prophecy of the Ancient Maya. We congratulate Dr. Aveni, Dr. Bill Saturno, Dr. David Stuart, Franco Rossi, and most of all, Maxwell Chamberlain for their great discovery.